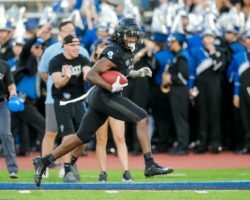 On today’s TB podcast, Scott Wilson and I look back at UB’s home win over Eastern Michigan and preview a possible “trap game” on the road against Rutgers. Here are a couple of links referenced within the podcast, and one that wasn’t. Saturday’s University at Buffalo football game at Rutgers will air on one of the Big Ten Network channels. To find out where it is airing in your area, click here. Fans can also watch the game on the BTN2Go App. Saturday’s game at Rutgers will kick off at 12:00 pm. Fans can also listen to the game on ESPN1520 or on Tune In.